It’s getting colder, but don’t let that stop you. Enjoy as much of the outdoors as you can and take the party outside. To help you with the outdoor drinking experience and refreshment of your gang, there’s a cool set of Stanley Shot Glasses. It’s perfect for traveling, camping, and hunting. 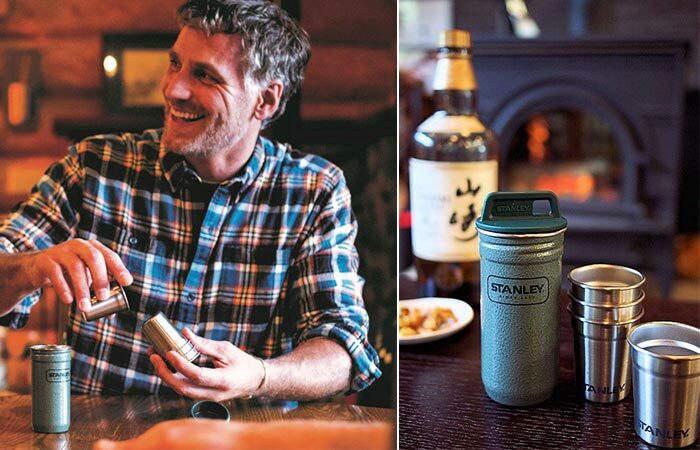 We love Stanley for making extremely tough and useful products. In the same manner, they crafted these glasses. Like most of their products, the glasses use 18/8 stainless steel. This material is super durable, naturally BPA-free and doesn’t rust. A set of Stanley Shot Glasses includes four stainless steel 2 oz glasses. This Stanley set includes four 2 oz shot glasses. There’s also a nice steel carrying case that features a screw top lid. This makes them very easy to pack and carry around. Not to forget that it’s easy to clean the glasses and you can put them in a dishwasher as well. The glasses fit perfectly into a steel carrying case. The set measures 4.9 x 2.5 x 6.7 inches and weighs 0.55lb. 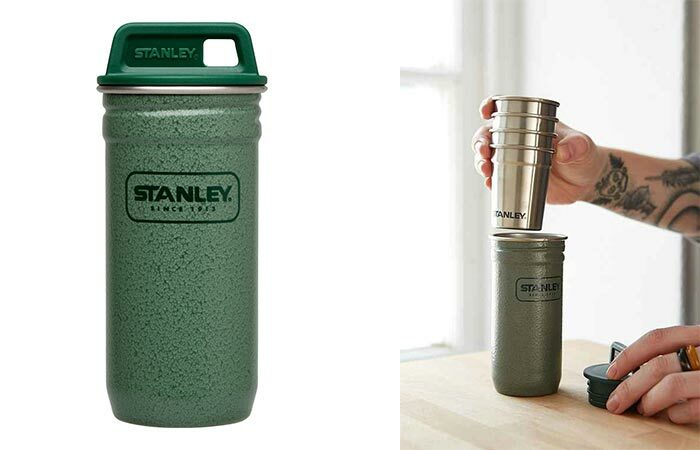 The carrying case comes in a recognizable Stanley hammertone green color.